A while ago I wrote a post similar to this and never got around to actually completing it, it’s just so tedious photographing everything you eat in a day. Sometimes, I want to just throw it on a plate, without presentation and any thought of what it looks like. However, today I got inspired by someone off Instagram and I made the effort. But, mainly because of his post, I had a lot to say. It stirred some anger in me that I just needed to get out! One thing that I have noticed since crossing over to the ‘dark side’ and practising the flexible approach to dieting is that people who don’t understand the diet, think we just eat crap all day long, with no nutritional value – that’s not true! Actually, that couldn’t be further from the truth. The general rule of thumb, which most people seem to follow with flexible dieting, is the 80-20% rule: 80% is wholefoods, healthy fats, fruit, veggies and all that jazz; the other 20% is whatever the hell that person wants to eat, whether that’s pizza, ice-cream, sugar laden sauces, it is completely up to them and that my friends is what we call balance and to me it’s a healthy, sustainable way to live your life and how I have learned to live mine, over the last year. I’m in no way trained in dietics, health, nutrition, or whatever is needed these days to be able to comment about diet, health and nutrition, but I have experience and that in my opinion is a lot more than most qualified individuals can say. I’ve been through and recovered from numerous eating disorders, anxiety, depression and other mental health issues, which I’ve suffered with since pre-teens. I’ve also been a clean eater and would spend hours studying nutrition labels online, so that I could go to the store and buy the food which had the ‘healthier ingredients’, the next day. Thinking back it sounds absolutely ludicrous and I feel so sorry for that person I once was, but thankfully flexible dieting and the #Fitfam Instagram community have saved and helped me develop a healthier relationship with food. I’m not saying flexible dieting is for everyone, everybody has to find their own healthy and whether that’s strict ‘clean eating’, paleo, low carb, or whatever crazy diet is going around at the moment, if it works for you then do it. But, just remember to live your life too. I was so caught up in my eating disorder that I was too scared to eat out at restaurants from fear that people were watching me. At the time I wasn’t overweight, I was actually underweight, but in my head I was huge and it stopped me from going out with family and eating and enjoying time with them. Looking back now I realise how much family time I had missed and lost out on: milestone birthdays (including my own), anniversaries, huge family dinners, I would always be the only person who never went and now not everybody is still on this planet to do those missed opportunities with. Now, that’s enough jibber jabbering – bring on the food! 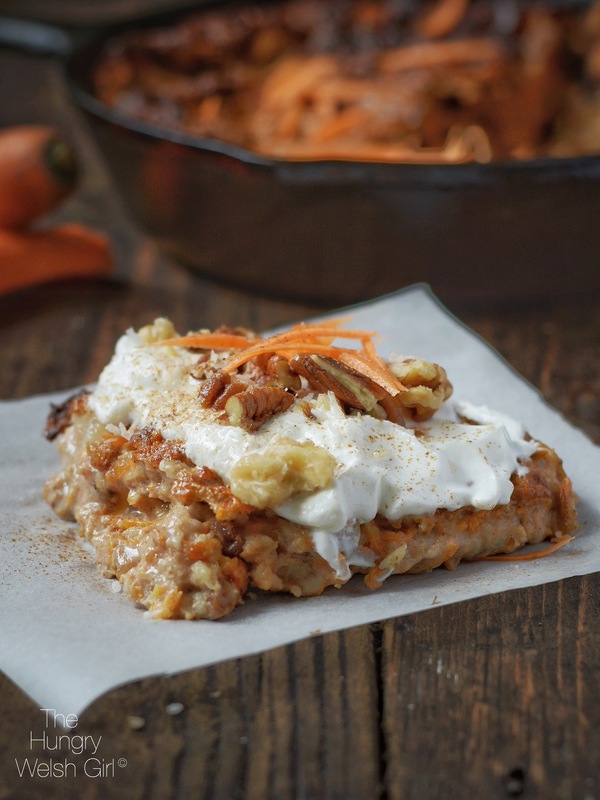 have been working on all year and breakfast was one of them: Carrot cake baked oats. This was full of healthy fats, natural protein and yummy deliciousness, no sugar was added because adding sugar to my food still freaks me out, but that also gives me more room for chocolate if I want it 😉 I topped the carrot cake baked oats with 65g sweetened fage 0% greek yoghurt and some more healthy fats, because fats love me and I love them; I also sweetened the yoghurt with stevia. Mid- Morning Snack – My mid-morning snack is usually a protein shake with skimmed milk and I know some people moan about having protein shakes as a meal replacement and I would agree with them; I would rather eat food too, but most vegetarian products are carb based and shakes add protein with few carbs, plus I usually drink it just after my workout while I’m preparing dinner. 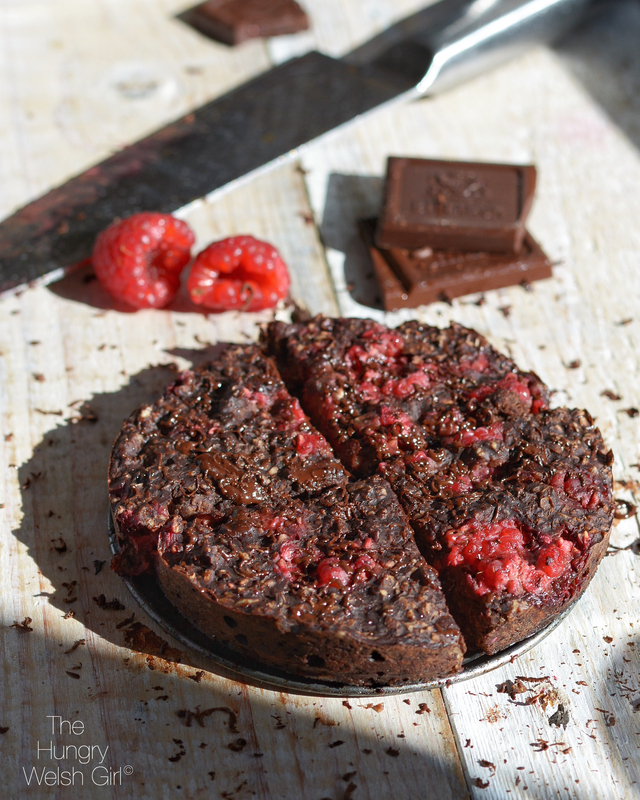 Today, I didn’t work out – shoot me – so I ate another recipe experiment: Dark Chocolate & Raspberry baked slices; which will be good as snacks over the next few days. Lunch – I don’t usually eat lunch, but for some reason today I did. I think it was because I really wanted to try the new Dr Zaks Multigrain bagels, which were absolutely delicious: chewy, tasty and high-protein and completely vegetarian, something I was far too happy about. 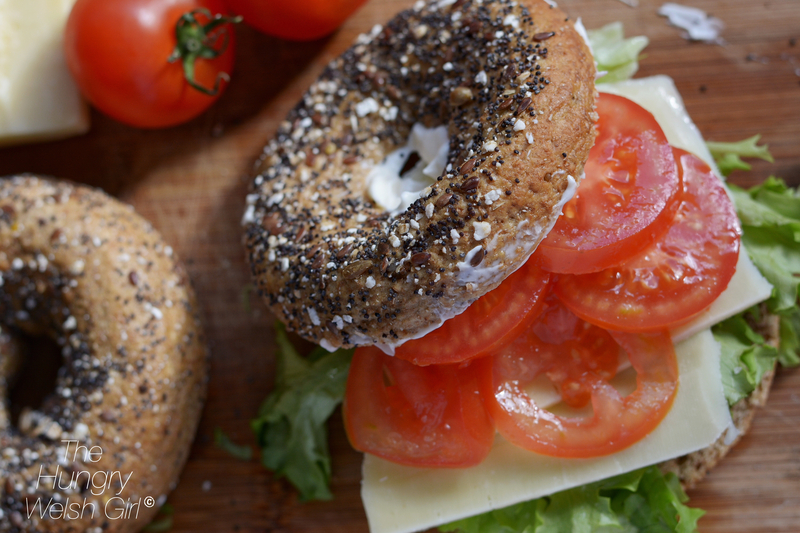 I filled the bagel with light mayonnaise, low-fat cheese, home-grown tomatoes and lettuce. A very nutritious, delicious lunch, wouldn’t you agree? I enjoyed it and nearly ended up making a second. Dinner – More veggies – gosh this flexible dieting lifestyle is so unhealthy. I love chips, but high-carb foods don’t agree with me. For ages I listened to people on Instagram about how carbs won’t make you fat and while that may be true, I didn’t have the same success. I even tried reverse dieting, but carbs just hate me and this is another prime example of why you should experiment with your food and macros, rather than follow someone else’s advice, on what works for them (unless you have a thing setup with a P.T or whatever) because what works for one person, won’t work for another. So I keep my carb intake around 130-160g and this seems to be my sweet spot. I don’t mind as much since I discovered butternut squash last year because this means I can still eat chips and mash ‘faux’-tato (totally just invented that word) and that’s fine by me. 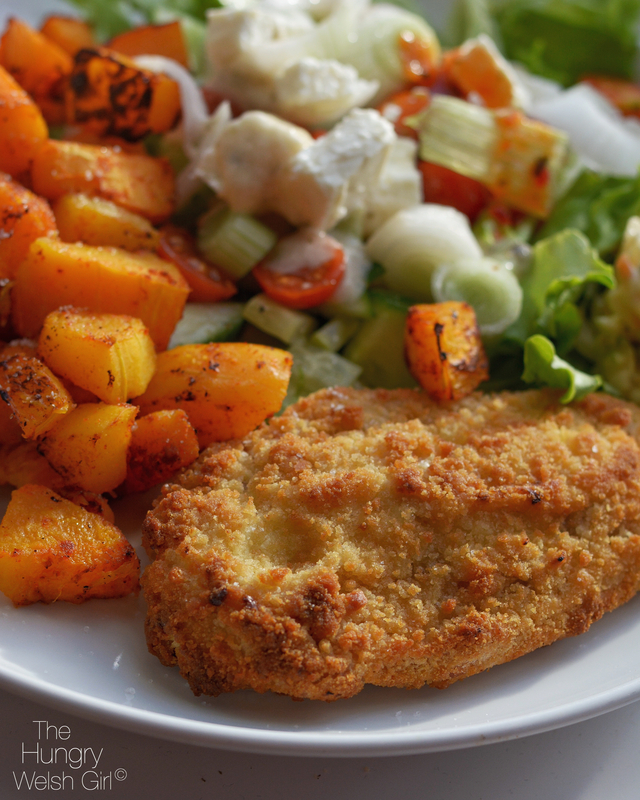 Today, I had butternut squash cubes in paprika, with a Quorn garlic and herb escalope, plus, salad with low-fat dressings and full fat feta cheese. I also made a quick slaw, which was light mayo, diced onion, grated courgette and carrot. I guess this would be a meal that would be considered flexible, because of the Quorn which is in breadcrumbs and has a sauce inside and considered processed. Although, isn’t all food considered processed? Quorn is my main source of protein, it’s high in quality protein, fibre and low in fat and some Quorn products are even low in carbs. What people don’t realise about Quorn is that it contains all the essential amino acids an adult requires, so it’s very nutritional for you and made from a mycoprotein, so soy-free too and they actually make gluten-free Quorn too. Supper – Or otherwise know as – the last meal of the day. I finish eating at 7pm and it’s usually with a flexbowl. 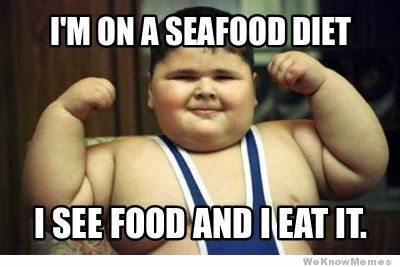 Although, I don’t eat one every night, only when I’m struggling to hit protein, which is often. Tonights, was a mild flexbowl for me: 160g Fage 0% greek yoghurt, mixed with 35g banana protein powder and topped with blueberries, strawberries, my high-protein granola ( another recipe creation, which is actually very successful if I do say so myself) and some coconut choc shot, which is an all natural chocolate sauce. And there you have it, my first and probably last, full day of eating. Don’t be fooled into thinking that I eat this everyday, I like variety in my diet so not one day is ever the same and the same goes for my macros; I use them as a guideline, which means they are usually cycled throughout the week. I’m flexible with them and not everything is logged and tracked. I don’t work out everyday (2-3week)- shoot me – and I always do full body workouts – breaking all the rules right? – but guess what? It works for ME and I can eat like this and still lose weight and maintain, or grow muscle if I wanted to, that doesn’t mean it’s been an easy ride. I never dreamed that I could eat 1900 cals and not gain weight; last year I was gaining weight eating this much, but I was also eating 200g of carbs because someone told me I should. So, I gave up listening to other people who didn’t know me and I started listening to my body and it worked. I’m not saying I know what I’m doing because I’ll be the first to admit that I don’t, but I have a far better understanding about how my body reacts to certain foods, and activities, than I did 2 years ago. This may shock most people, but I don’t usually track sugar, especially if it comes from mainly natural sources like today. However, if I am adding sugary foods into my flexbowls, then I keep my sugar intake either on, or under 50g because too much refined sugar gives me heart palpitations and headaches. But, in moderation I’m absolutely fine. I’m almost certain people won’t agree with that, I see some people even fretting over natural sugars, but guess what? – It’s #MyHealthyNotYours – and I’ve come too far, to have people try and scare me over natural sugar! Did you enjoy this blog post? Would you like this it to be a weekly thing? If the answers yes then comment below, or drop me a comment on Instagram and I will see what I can arrange. Great blog about flex dieting. This is something I am looking to do myself.